If your property, business, or home is made of ceramic tiled floors, it really helps making sure that they are properly maintained and cleaned. There are many professional cleaning companies that offer fantastic services to many people. These professionals ensure that your premises remain perfectly clean by leaving your floors and other surfaces sanitized and clean! However, there are very important tips that can help you clean your ceramic surfaces. Glazed tiles are always tough and offer a glass like surface, but unglazed tiles have an assortment of pigments which will always require more attention. When cleaning glazed tile floors, you should first consider removing the dirt and grit with a vacuum followed by wiping the surface with a damp sponge or a mop. The kind of a material which you use to wipe the surface should not be abrasive as this will ensure that the tile is not scratched. 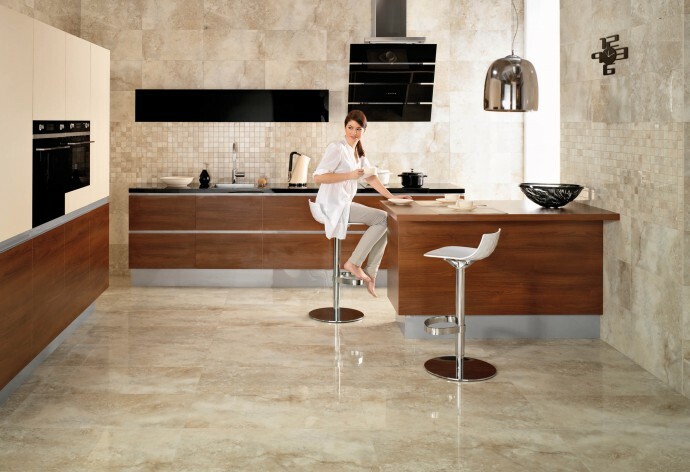 But if the tile is unglazed, it’s imperative to avoid the use of harsh cleaners. One of the best solutions that can be used to clean unglazed tile is that of water and soap. When using cleaning solutions on your tiled surfaces, it’s quite important to choose products that are friendly on the environment. There is a long list of products that fall into this category and which can help ensure that no harm is occasioned to people and animals. You should make sure that the surface and grout is wiped regularly as this will help minimize the spread of mold and bacteria which could cause irreparable harm to the people living in the property. But you should be very careful when cleaning grout because it is highly susceptible to stains caused by various staining agents. Moreover, it really is advisable to clean out the grout pretty fast if something falls on it. The fact is that liquids such as blood, coffee, dyes and ink among others are indeed very hard to remove when they spill on the grout and left to remain on the surface for too long. To help you protect the grout from stains, you will need to apply a sealer. This way, you will not have to worry about getting the surface stained easily. It is always a good thing to have your ceramic tiles cleaned, but there are certain things which you need to avoid at all cost. The first one is to ensure that no ammonia is combined with household bleaches as they could cause some reaction. Moreover, when scratching the surface, never use any harsh sponge and dangerous cleaning agents because this could definitely harm the surface. While doing your cleaning, it really helps avoiding the use of cleaning agents that have colored dyes when cleaning unglazed surfaces or tiles. Cleaning ceramic tile floors should not be all that hard. If you know how to go about, things can get a little easier for you. The above tips can help you clean your tiled surface without damaging it. If you cannot manage this task on your own, you should consider talking to floor care anchorage professionals. Meggie Haneckow is a writer and blogger who loves to write about hot and trending topics. He is currently writing for residential cleaning service.